On January 20, 1952, the Community Methodist Church began in the Reynolds-Holston Canning Plant on Smith Street. Its first move was to the Park Street property purchased in 1952. The name was changed to Park Street Methodist Church in 1957. 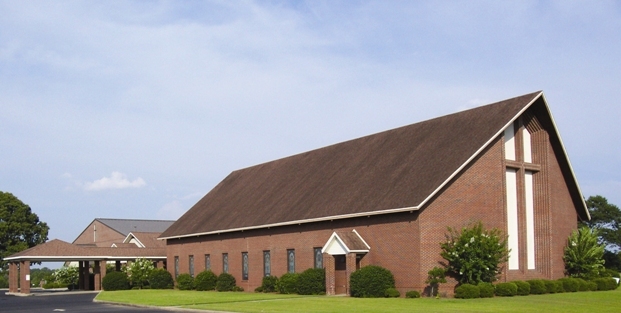 In the summer of 1991, after almost 33 years on Park Street and then temporarily holding services in an old warehouse building on South Three Notch Street for just over a year, Park Memorial United Methodist Church held its first service in its present location at 750 Elba Highway on September 27, 1992. 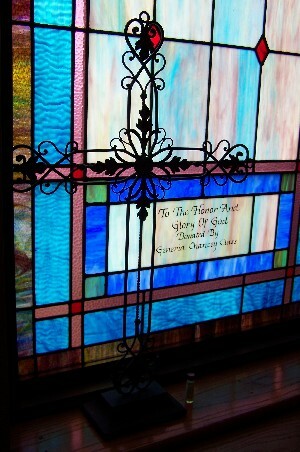 In 2001, a new addition was approved, and the Claudia Crosby Family Life Center was added to the church’s facilities. Since its beginning in 1952, the church’s membership has swelled to over 700 members. Besides Sunday School, two worship services are held each Sunday morning, one at 8:30 a.m. and one at 11:00 a.m. The list of pastors called to serve the church include Rev. William Griggs (1952), Rev. Thomas Sowell (1954), Rev. P.A. Lynch (1955), Rev. Ray Lane (1957), Rev. Bill Rhoads (1958), Rev. Joe Bates (1960), Rev. Bob Cruikshank (1962), Rev. Rayburn Waller (1963), Rev. Perry Dalton (1966), Rev. Gerald Maddox (1968) , Rev. Jim Posey (1973) , Rev. James A. Belcher (1978), Rev. William A. Parsons (1982) , and Rev. Bill Leavins (1987) and Rev. Steve Rascoe (1994). In June of 2008, we welcomed our current minister, the Reverend Danny R. Arnold, to Park Memorial. We are so happy to have Brother Danny and his wife Alice serving with our church family. Brother Danny’s love of God’s Word and his strong Bible preaching and teaching lead us to grow in our daily walk with Christ. We continue to offer a series of Discipleship small group programs that have grown with each consecutive year. Kathy Kirkpatrick serves as Director of Children's Ministries which includes our Preschool and Elementary children and Jerrid Olmstead, our Director of Youth Ministires serves our Middle School (Middle Ground) and Youth programs. We are also blessed to have Edith Synco serving as Choir Director, Dave Laliberte as church organist and Perry Brown as Worship Leader for our 8:30 Praise & Worship Service. We are excited to have begun an active Prayer Room Ministry in 2011 using our lovely Generia Chancey Prayer Room in the Sanctuary. If you would like to participate in this vital ministry, contact the church office or stop by the Prayer Room and sign the book for your preferred prayer time. Our church continues to grow in Christ, both spiritually and in number, and we are looking forward to a bright future as we reach out to our community.